See what's new, what's updated, and what's out in the new version of Groovy 2.5 CliBuilder. The CliBuilder class for quickly and concisely building command line applications has been renewed in Apache Groovy 2.5. This two-part article highlights what is new. Part 2 explains how to leverage some of the advanced features of the underlying libraries from CliBuilder. Previous versions of CliBuilder used Apache Commons CLI as the underlying parser library. 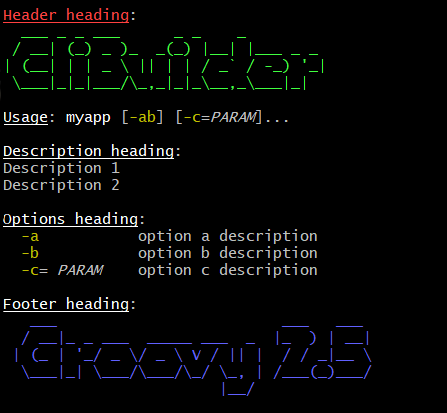 From Groovy 2.5, there is an alternative version of CliBuilder based on the picocli parser. Going forward, it is recommended that applications explicitly import either groovy.cli.picocli.CliBuilder or groovy.cli.commons.CliBuilder. The groovy.util.CliBuilder class is deprecated and delegates to the Commons CLI version for backwards compatibility. Next, let’s look at some new features in Groovy 2.5 CliBuilder. Options can be boolean flags or they can take one or more option parameters. In previous versions of CliBuilder, you would have to specify args: 1 for options that need a parameter, or args: '+' for options that accept multiple parameters. This version of CliBuilder adds support for typed options. This is convenient when processing parse results, but additionally, the number of arguments is inferred from the type, so if the type is specified, args can be omitted. The Commons CLI-based CliBuilder supports primitives, numeric types, files, enums and arrays thereof (using StringGroovyMethods#asType(String, Class)). The picocli-based CliBuilder supports those and more. From this release, Groovy offers an annotation API for processing command line arguments. Applications can annotate fields or methods with @groovy.cli.Option for named options or @groovy.cli.Unparsed for positional parameters. When the parser matches a command line argument with an option name or positional parameter, the value is converted to the correct type and injected into the field or method. Method returns true if -h or --help was specified on the command line. Method returns the parameter value that was specified for the -u or --useroption. Any remaining parameters will be returned as a list from this method. When parseFromSpec is called, CliBuilder reads the annotations, parses the command line arguments and returns an instance of the interface. The interface methods return the option values matched on the command line. The help Boolean property is set to true if -h or --help was specified on the command line. The setUser property setter method is invoked with the -u or --user option parameter value. The remaining property is set to a new List containing the remaining args, if any. Extract options from the annotated instance, parse arguments, and populate and return the supplied instance. Verify that the String option value has been assigned to the property. Verify the remaining arguments property. When parseFromInstance is called, CliBuilder again reads the annotations, parses the command line arguments and finally returns the instance. The annotated fields and setter methods are initialized with the values matched for the associated option. Groovy 2.5 also offers new annotations for Groovy scripts. @OptionField is equivalent to combining @groovy.transform.Field and @Option, whereas @UnparsedField is equivalent to combining @Field and @Unparsed. This version of CliBuilder offers some limited support for strongly typed positional parameters. If all positional parameters have the same type, the @Unparsed annotation can be used with an array type other than String. Again, the type conversion is done using StringGroovyMethods#asType(String, Class) in the Commons CLI version, while the picocli version of CliBuilder supports a superset of those types. There are a few areas where the new versions of CliBuilder are not compatible with previous versions or with each other. The Commons CLI version of CliBuilder, and previous versions of CliBuilder, expose an options property of type org.apache.commons.cli.Options, that can be used to configure the underlying Commons CLI parser without going through the CliBuilder API. This property is not available in the picocli version of CliBuilder. Applications that read or write this property must import groovy.cli.commons.CliBuilder or modify the application. Additionally, the formatter property of type org.apache.commons.cli.HelpFormatter is not available in the picocli version of CliBuilder. If your application uses this property, consider using the usageMessageproperty instead, or import groovy.cli.commons.CliBuilder. The picocli version of CliBuilder has a parser property that exposes a picocli.CommandLine.Model.ParserSpec object that can be used to configure the parser behavior. The Commons CLI version of CliBuilder, and previous versions of CliBuilder, expose a parser property of type org.apache.commons.cli.CommandLineParser. This functionality is not available in the picocli version of CliBuilder. If your application uses the parser property to set a different Commons CLI parser, consider using the posix property instead, or import groovy.cli.commons.CliBuilder. The Commons CLI DefaultParser recognizes longOption option names prefixed with a single hypen (e.g., -option) as well as options prefixed with a double hyphen (e.g., --option). This is not always obvious since the usage help message only shows the double hyphen prefix for longOption option names. For backwards compatibility, the picocli version of CliBuilder has an acceptLongOptionsWithSingleHyphen property: set this property to true if the parser should recognize long option names with both a single hyphen and a double hyphen prefix. The default is false, so only long option names with a double hypen prefix (--option) are recognized.